Year: 2014 - 2015. MagnaFlow Stainless Steel Exhaust System. Vehicle: Chevrolet Camaro. Direct Fit Exhaust. Our exhaust systems feature straight-through flow designs for the ultimate in unrestricted horsepower and torque for big power while maintaining exhaust efficiency. Magnaflow Cat-Back Performance Exhaust. Exhaust Inlet Connection Type Direct Fit Exhaust. Our exhaust systems feature straight-through flow designs for the ultimate in unrestricted horsepower and torque for big power while maintaining exhaust efficiency. Vehicle: Chevrolet Corvette. Magnaflow Cat-Back Performance Exhaust. Year: 1974. Direct Fit Exhaust. Our exhaust systems feature straight-through flow designs for the ultimate in unrestricted horsepower and torque for big power while maintaining exhaust efficiency. These are now hard to find especially this side of the Atlantic! These are new, and unused and still in the original factory shrink wrap plastic. These make a very trick addition to your ride especially if you have run out of other places to put the famous bowtie logo! Vehicle: Chevrolet Corvette. Direct Fit Exhaust. STAINLESS STEEL EXHAUST SYSTEM. Our exhaust systems feature straight-through flow designs for the ultimate in unrestricted horsepower and torque for big power while maintaining exhaust efficiency. Vehicle: Chevrolet Corvette. MagnaFlow Performance Exhaust System. Year: 1997, 1998, 1999, 2000, 2001, 2002, 2003, 2004. Direct Fit Exhaust. Our exhaust systems feature straight-through flow designs for the ultimate in unrestricted horsepower and torque for big power while maintaining exhaust efficiency. This listing is for a used NASCAR Boomtube exhaust. I bought this last year to fit to my pick up but after test fitting it won’t fit in after the other parts are fitted so I’m gutted I have to sell it. I’m not sure if it was used in a race or was just used on a test car but it’s still cool. The inlets are 4 inch but come with reducers to fit into 3 inch. The outlet is approx 450mm long and 40mm deep. This is the video that made me buy it! https://youtu.be/tbRAL_--65U The listing is a collection only but can deliver in the midlands for fuel or I have a guy we use for moving motorbikes all over the country who could quote. Vehicle: Chevrolet Corvette. MagnaFlow Stainless Steel Exhaust System. Year: 1986 - 1991. Direct Fit Exhaust. Tip Type: Rolled Edge, Single Wall, Angle Cut. Exhaust Inlet Connection Type: Clamp-On. Exhaust Pipe Material: Stainless. This Manifold Is Made From Stainless Steel And Has A T3 Flange To Fit A T3 Turbo. Turbo Flange Size: T3. Models - Chevy Small Block / 283, 302, 305, 307, 327, 350, 400 cu (V8). 2 x Turbo Manifolds. NOTE: This Is A Custom Part And Modification To Your Engine Will Be Required To Fit. Magnaflow Cat-Back Performance Exhaust. Direct Fit Exhaust. Exhaust Inlet Connection Type: Bolt-On. Exhaust Pipe Material: Stainless. Our exhaust systems feature straight-through flow designs for the ultimate in unrestricted horsepower and torque for big power while maintaining exhaust efficiency. Vehicle: Chevrolet Corvette. Direct Fit Exhaust. Year: 2000, 2001, 2002, 2003, 2004. Exhaust Inlet Connection Type: Weld-On. Exhaust Pipe Material: Stainless. Our exhaust systems feature straight-through flow designs for the ultimate in unrestricted horsepower and torque for big power while maintaining exhaust efficiency. 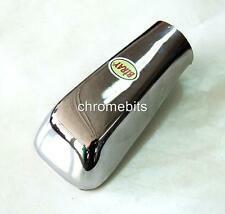 Of exhaust tailpipe designs for. ProFlow Stainless Steel Custom Built Exhaust. stainless steel exhaust as described. exhaust fitting center in Brierley Hill, West Midlands. exhaust, made from T304 grade. PONTIAC FIREBIRD 1983-1992 V8 5.0L / 1987-1992 5.7L. MagnaFlow Direct-Fit Cat-Back Exhaust system built to fit behind the factory catalytic converters. Chevrolet Camaro1983-1992 V8 5.0L / 1987-1992 5.7L. Vehicle: Chevrolet Impala. MagnaFlow Performance Exhaust System. Year: 1965, 1966, 1967, 1968, 1969. Direct Fit Exhaust. Exhaust Pipe Material: Stainless. Our exhaust systems feature straight-through flow designs for the ultimate in unrestricted horsepower and torque for big power while maintaining exhaust efficiency. Vehicle: Chevrolet Trailblazer / GMC Envoy / Isuzu Ascender. MagnaFlow Stainless Steel Exhaust System. Year: 2002, 2003, 2004, 2005, 2006, 2007, 2008, 2009. Components: Band Clamp: 5, Bolt: 1, Bracket: 3, Hanger: 1, Isolator: 2, Nut: 3. Vehicle: Chevrolet Camaro. Direct Fit Exhaust. Year: 2010, 2011, 2012, 2013. Our exhaust systems feature straight-through flow designs for the ultimate in unrestricted horsepower and torque for big power while maintaining exhaust efficiency. MagnaFlow Performance Exhaust System. Direct Fit Exhaust. Exhaust Inlet Connection Type: Bolt-On. Exhaust Pipe Material: Stainless. Our exhaust systems feature straight-through flow designs for the ultimate in unrestricted horsepower and torque for big power while maintaining exhaust efficiency. Part Number: 15898. MONTE CARLO 1970 V8 350/400/454 CID. (Header Back) Exhaust System. Due to the vast and various applications possible modification and welding is required for a proper fit and finish. Vehicle: Chevrolet Colorado / GMC Canyon / Isuzu i-280, i-350, i-290, i-370. Year: 2004, 2005, 2006, 2007, 2008, 2009, 2010, 2011, 2012. Tip Type: Single Wall, Angle Cut. Our exhaust systems feature straight-through flow designs for the ultimate in unrestricted horsepower and torque for big power while maintaining exhaust efficiency. CHEVROLET CAMARO SS EXHAUST SYSTEM - 67. 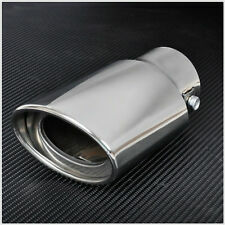 NEW CUSTOM BUILD STAINLESS STEEL EXHAUST SYSTEM FOR YOUR CLASSIC CAMARO SS. THIS SYSTEM IS FROM THE DOWNPIPES BACKWARD. COMPLETE SYSTEM INC THE H OR X PIPE SET UP. Vehicle: Chevrolet Camaro. Tip Type: Camaro, Single Wall. Direct Fit Exhaust. Year: 2010, 2011, 2012, 2013. Our exhaust systems feature straight-through flow designs for the ultimate in unrestricted horsepower and torque for big power while maintaining exhaust efficiency. Part Number: 15893. 283 CID V8. 327 CID V8. 396 CID V8. CHEVELLE 1964-1967. Exhaust System. Due to the vast and various applications possible modification and welding is required for a proper fit and finish. Vehicle: Chevrolet Corvette. MagnaFlow Stainless Steel Exhaust. Direct Fit Exhaust. Our exhaust systems feature straight-through flow designs for the ultimate in unrestricted horsepower and torque for big power while maintaining exhaust efficiency. They advertise this as a standard size flexi to suit all vehicles. They expect you to cut connectors to suit correct length required for you to replace your broken flex. Also flex for your car might require a small length flex or a long length flex. The sale price includes fitting, you are required to take your vehicle to our exhaust fitting centre located in - Brierley Hill, West Midlands, DY5 3JN. ProFlow Stainless Steel Custom Built Exhaust. CHEVROLET CAMARO 2011-2013 6.2L V8: Incl. MagnaFlow Direct-Fit Cat-Back Exhaust system built to fit behind the factory catalytic converters. MagnaFlow Direct-Fit. Every effort is made to ensure this information is current and up to date. 1985 -91 Chevrolet C4 Corvette. Distributor Cap and Rotor. Cap and rotor may vary in appearance, picture is for guide only. This is for Delco HEI coil in distributor cap system. with push down and twist fasteners. 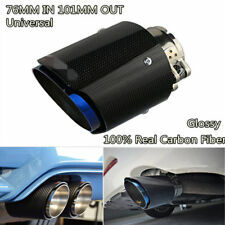 (Suitable only for models with tailpipes between 50mm up to 59mm.). Once attached it will give that dull tailpipe a cool straight through performance look. Will transform the look of your car. High grip clamp holds trim securely to exhaust pipe. MagnaFlow Stainless Steel Exhaust System. Vehicle: Chevrolet Camaro. Direct Fit Exhaust. Series: Race. Year: 2010, 2011, 2012, 2013. Our exhaust systems feature straight-through flow designs for the ultimate in unrestricted horsepower and torque for big power while maintaining exhaust efficiency. Year: 2014, 2015, 2016. Vehicle: Chevrolet Silverado 1500 / GMC Sierra 1500. Tip Type: Rolled Edge, Double Wall, Angle Cut. Our exhaust systems feature straight-through flow designs for the ultimate in unrestricted horsepower and torque for big power while maintaining exhaust efficiency. Vehicle: Chevrolet Corvette. Magnaflow Performance Exhaust System. Direct Fit Exhaust. Our exhaust systems feature straight-through flow designs for the ultimate in unrestricted horsepower and torque for big power while maintaining exhaust efficiency. Part Number: 15094. 4 x 9 x 11in. Muffler, 4 x 9 x 14in. Resonator; 2.5in. CHEVROLET CAMARO 2011-2013 6.2L V8;. MagnaFlow Direct-Fit Cat-Back Exhaust system built to fit behind the factory catalytic converters. Chevrolet Kalos 1.4i Cat Hatchback 1399cc (69 kW, 93 HP), Eng:F14D3. OBD 2002-05/2008. They advertise this as a standard size flexi to suit all vehicles. They expect you to cut connectors to suit correct length required for you to replace your broken flex. ProFlow Stainless Steel Custom Built Exhaust. exhaust fitting center in Brierley Hill, West Midlands. 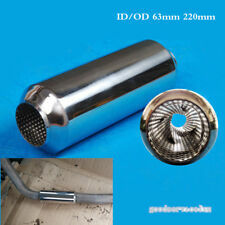 stainless steel exhaust as described. The sale price includes fitting. exhaust, made from T304 grade. Manifold For Chevrolet Corvette C2 and C3 BJ. 1963-1982 with 5,0 L, 5,3 L and 5,7 L V8 Engine. 1978 Chevrolet Corvette of Indianapolis 500 pace car. 1963-74 Chevrolet Corvette base. 1975-76 Chevrolet Corvette Stingray. Series: MF. Our exhaust systems feature straight-through flow designs for the ultimate in unrestricted horsepower and torque for big power while maintaining exhaust efficiency. These systems are an engineered balance of interior and exterior noise levels and are tested against SAE j1169 standards. Vehicle: Chevrolet HHR. MagnaFlow Stainless Steel Exhaust System. Direct Fit Exhaust. Exhaust Pipe Material: Stainless. Exhaust Inlet Connection Type: Bolt-On. Our exhaust systems feature straight-through flow designs for the ultimate in unrestricted horsepower and torque for big power while maintaining exhaust efficiency. Magnaflow Stainless Steel Exhaust System. Vehicle: Chevrolet Camaro. Tip Type: Camaro, Single Wall. Direct Fit Exhaust. Year: 2011, 2012, 2013. Our exhaust systems feature straight-through flow designs for the ultimate in unrestricted horsepower and torque for big power while maintaining exhaust efficiency. MagnaFlow Performance Exhaust System. Vehicle: Chevrolet Camaro. Direct Fit Exhaust. Our exhaust systems feature straight-through flow designs for the ultimate in unrestricted horsepower and torque for big power while maintaining exhaust efficiency.